Disney-Pixar animated feature The Incredibles, is born in Washington, D.C. The Disney-MGM parade Aladdin's Royal Caravan debuts. The Young Black Stallion (a prequel to “The Black Stallion”). At the Florida Film Critics Circle Awards, The Incredibles win for Best Animation. project designer for Walt Disney World in Florida. 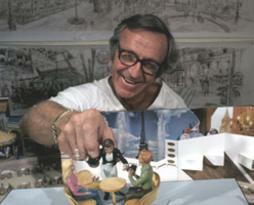 After 22 years with Disney, Davis retired in 1975.
the rock work for Tokyo Disneyland. later she will be adopted by Walt Disney and his wife Lillian. in Mexico City. It will be released in the U.S. the following February. adaptation of Peter Pan with Bobby Driscoll. Disney's animated Peter Pan is released in Sweden. Today is Anything Can Happen Day on ABC-TV's Mickey Mouse Club. Disney releases the fourth People and Places short documentary Men Against the Arctic to theaters. Directed and written by Winston Hibler, the film follows the CGC icebreaker Westwind's Arctic, shot during the summer of 1954 by cinematographers William Fortin and Elmo G. Jones. Men Against the Arctic will an Academy Award® for Best Documentary (Short Subjects). Family's lavish pre-production planning and on-location shooting resulted in a budget that exceeded $4 million! deserted island with no rescue in sight. Jules Verne adventure novel Captain Grant's Children) is generally released in U.S.
Walt Disney's Last Will and Testament is filed. The Wonderful World of Disney premieres part 1 of "Babes in Toyland," a musical first released to theaters in 1961. Disney's Fantasia 2000 has its London premiere at the Royal Albert Hall. Bette Midler, James Earl Jones, Penn & Teller, and Angela Lansbury. Disney World's Caribbean Beach Resort, which was been closed since September 8, 2002 for the rehab of the food area, reopens. 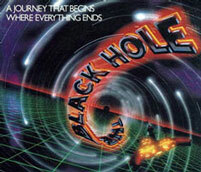 film projection on a 360-degree screen; and was involved in the theme park's "Rocket to the Moon" attraction. and later the "Mr. Lincoln" attraction at Disneyland. Mickey Mouse) has helped create the amazing sound effects. Disney's weekly television series debuts part 1 of The Ghosts of Buxley Hall. Ratatouille wins Best Animated Film at the Florida Film Critics Circle Awards. in New York City on December 13, National Treasure 2 stars Nicolas Cage as treasure hunter Ben Gates, who must prove his ancestor's innocence in the assassination of Abraham Lincoln. 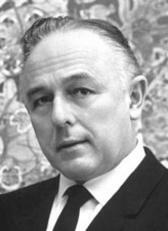 and TV host, is born Pinkus Wilchinski in New York City. 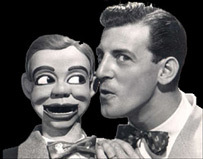 as well, Winchell first became famous as a ventriloquist during the early days of television. hosted the children's television series, Winchell-Mahoney Time. "The audience was so taken by the magic of what they had seen that they applauded after individual sequences, just as though they were watching a stage play. I've never seen anything quite like it since." Disney's Donald Duck cartoon Old Sequoia, directed by Jack King, is released. Park Ranger Donald is in charge of making sure a tree "Old Sequoia" doesn't get gnawed down by pesky beavers. School of Music) features Christmas carols and the re-telling of the birth of Jesus through the gospels. Raymond, Romano appeared on the Hannah Montana episode, "We're All on This Date Together." Perry Russ. Disney-MGM will debut on May 1, 1989.
important events in the Company’s history. Most historians agree: Snow White built the Burbank Studio. year at Walt Disney World's Magic Kingdom theme park. deal to acquire Lucasfilm (creator of "Star Wars" and "Indiana Jones"). The Tropical Hideaway, an exotic marketplace for discovering extraordinary eats from all corners of the world, opens in Adventureland at Disneyland park. Winners will be announced January 21, 1995.